Planning a vacation to Greece could be one of the best decisions you can make. Greece is known for its history and myths. Regardless of your reservations, you will find something interesting with every corner you make. If you are an avid traveler, bored by the usual destinations, the offbeat destinations in Greece will certainly quench your desires. This is the first place you should visit if you are looking for unconventional experiences. Let us have a look at the top destinations in Greece that will certainly leave indelible memories. If you love remarkable views, then you will enjoy a trip to The Acropolis. 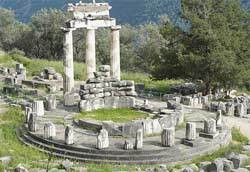 This magnificent marble structure is believed to have been the home of a Greek goddess, according to the myths. It is one of the few structures that radiates Ancient civilization in every aspect. Here, you will savior a bird’s eye view and remain fixated on the structure at night due to the brilliant lighting. Even if your trip only spares you a day of sightseeing, you should visit the Acropolis. Meteora translates to ‘suspended in the air’. These are Rocky Mountains known to be home to old monasteries. Only 6 of over 20 monasteries remain. 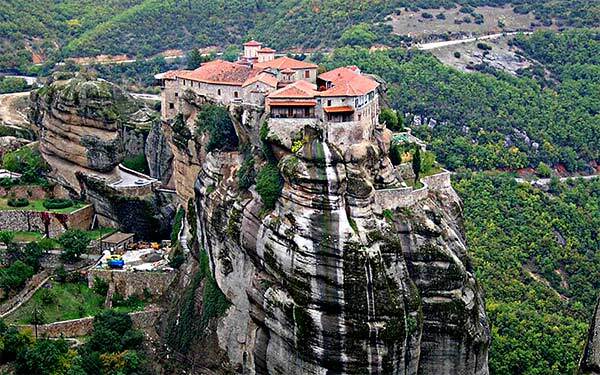 It is the rocky protrusions that make this an unavoidable destination in Greece. If you love nature walks, your trip will not be complete without a day trip to these rocky protrusions. Due to the inaccessible nature of the area, you will only get to the rocks using steps curved into the rock. The views are marvelous. Do you love spelunking? If you do, don’t miss a trip to the Dirou Caves. These are unique caves best known for their chandelier like salty formations. 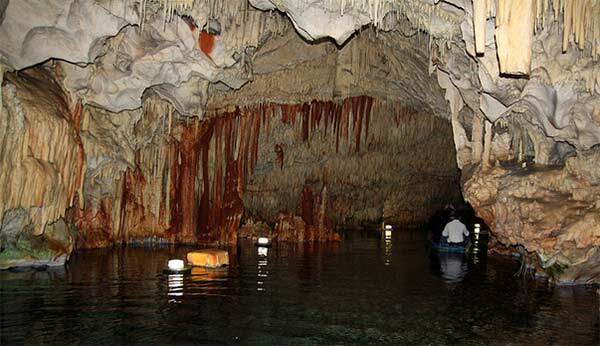 You will travel for about a kilometer through the amazing caves then walk. A trip through the caves can best be described as descending into the Centre of the Earth. All the sights in the caves are wow-worthy. If you have been wondering how the Greeks communicated to large crowds and with no public address system, then you should take the trip to the Epidaurus Theater. This is an amphitheater that is over 2,500 years old; it is still function. It costs 6 euros to get in. The amazing thing is this, in spite of the theater massive size; you will hear a paper being crumbled on stage even when you are at the farthest spot. You can only experience this to believe it. The theatre is two hours away from Athens. There are numerous offbeat destinations in Greece. You only need to prepare in advance, prioritize and make sure your camera is full charged and with adequate storage space. Avil lives in UK and is an avid reader and blogger. Since her early years she’s had a passion for writing. Her areas of interest are food, reviews (Book/Movie), Travel, Fashion, Lifestyle and fitness. She works as a guest blogger on her chosen areas of interest and currently writes on behalf of Turkish Travel Visa.